(2) just as Yeshua’s mission excluded non-Jews, Tikvat Israel’s mission excludes non-Jews, seeking to build a community from within the Richmond JEWISH community. I don’t often interact with Peter let alone comment on his blog. I especially hesitate to write about his content on my blog since this type of conversation often degrades into the unresolvable debates our little corner of cyberspace is known for. Religious arguments can get very ugly. But in reading Peter’s commentary on David Rudolph and Rudolph’s congregation Tikvat Israel, I wanted to learn more about the source of Peter’s allegations. Unfortunately, he hadn’t posted a link to his source material. Fortunately, Peter was willing to provide it when I asked, so I clicked the link he gave me and started listening to Rabbi David Rudolph’s twenty-minute sermon called Our Mission. I don’t know Rudolph except through his writing and editing. I read the book he and Joel Willitts co-created, Introduction to Messianic Judaism: Its Ecclesial Context and Biblical Foundations and wrote a fairly large number of reviews of most of the different contributions to this book. Given that Rudolph’s co-editor and friend Joel Willitts is a Christian and that about half of the book’s contributors are Gentiles, it didn’t seem to me that Rudolph had some sort of bias against non-Jewish people. Still, I was just slightly nervous about what I would hear when I clicked the “play” button on the recording. Actually, I didn’t find anything even slightly disturbing. Is it OK to have a Chinese church? Is it OK to have a Messianic Jewish congregation that has a mission specific to the local Jewish population? That’s just a bit more dicey, at least from the point of view of some Christians. I’ve attended the Reform/Conservative synagogue in my community and I wasn’t the only Gentile present (I suspect I wasn’t the only Jesus-believer present, but that’s beside the point), but I never lost the sense that this was a Jewish community. Nor would I, even in some moment of insanity, demand that the Rabbi be “inclusive” and adapt the synagogue to be more “Gentile-friendly.” In fact, that particular synagogue is already pretty inclusive, but as I said, it’s still Jewish. Even the local Chabad synagogue will accept Gentiles, typically those who are married to Jews, although I’ve known some Christian Gentiles who have attended a number of the Rabbi’s classes. He’s OK with this on the principle of peace within the community, as long as the Gentiles don’t try to proselytize the Jews present. 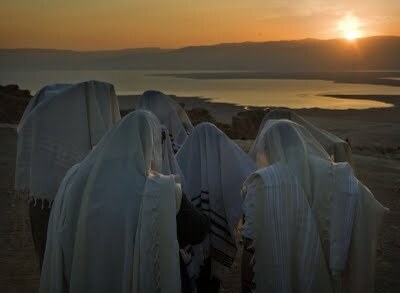 But Messianic Judaism is unique in that it professes a faith in Yeshua, in Jesus of Nazareth as the Messiah, a faith that is accessible to Jew and Gentile alike. Should Tikvat Israel’s mission be aimed generically at all human beings in the Richmond, Virginia area? Is it racism or bigotry to reach out only to the Jewish people in the vicinity? Is it racism or bigotry for the Korean Church in Meridian, Idaho to reach out only to the larger Korean community? Can the Korean church offer an environment that specifically meets the needs of the larger Korean community in a way that other churches could not? No, it’s not racism and bigotry and yes, the Korean church can offer a specific and specialized environment that’s particularly friendly and adapted to Koreans. So it is with Jewish congregations, including Messianic Jewish congregations. Rudolph made a large number of what I considered convincing arguments about why it was OK for his congregation Tikvat Israel, to have a mission specific to the Jews in and around Richmond. For one thing, many Jews traditionally don’t feel comfortable in normative Christian churches, particularly those believing Jews who also practice Judaism as Jews, which many Christians don’t understand and which some Christians find offensive. A Messianic Jewish congregation makes sense for Jews who are believers and who are observant Jews. Rudolph didn’t fail to acknowledge the Gentiles who attend Tikvat Israel as Gentiles who love the Jewish people and who desire to come alongside Messianic Jews within a Jewish context. Rudolph further said that if Gentile Christianity in general over the last nearly two-thousand years, had loved the Jewish people the way that the Gentiles in Tikvat Israel love the Jewish people, Jewish people wouldn’t have learned to be afraid of Christians and Church. From an article Rudolph wrote, I know he believes in unity between believing Jews and Gentiles within a Messianic context and indeed, that believing Jews and Gentiles are interdependent. Based on many of the writings of the staff and contributors of the Messianic ministry First Fruits of Zion (FFOZ), I have experienced and commented on that interdependence. 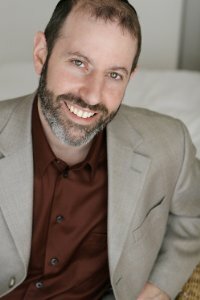 I performed a wider search and came across a larger listing of Rabbi David Rudolph’s sermons including one called “We Need Each Other” (on the “Sermons” page, scroll down until you see a heading called “Unity”). Because the Bible would never tolerate a Jewish church and a Gentile church.That is the one thing that the Apostle Paul spent the last months of his ministry trying to resolve,trying to get those two together; and when he wrote Ephesians, he said, “The middle wall is…what?…broken down and they two have become one new man.” And my own belief is that it is ludicrous to have a Messianic Jewish temple, as much as it would be to have announced out here that this is the Grace Community Gentile church. Now, how do you think that would sit with Jewish people? They would say one thing. They’re anti-Semitic. See? There’s no reason for that. Paul referred to a whole new race that is raceless. Not Jewish or Gentile, but a body of Christians who make up the Church. This is much like how MacArthur and my own Pastor see Ephesians 2 in particular and the identity of “the Church” in general. Rudolph suggested alternative ways to read this passage. I won’t go into all the details. You can listen to the twenty-five minute sermon yourself, since I provided the link. 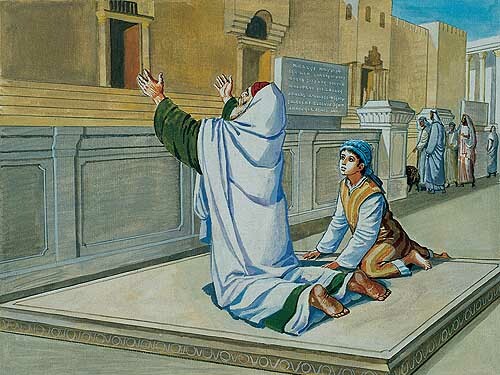 Briefly though, Rudolph felt that what was torn down was a specific set of ordinances that inhibited Jews from associating with Gentiles, particularly in relation to the Temple. However, Rudolph emphasized that the body of Messiah is a single body made up of Jewish and Gentile members who remain Jewish and Gentile, much as how Paul described the Messianic body in Ephesians 5:21-33 and referenced Genesis 2:24 where one man and one woman both became “one flesh” and yet remained distinctly one man and one woman. The married “one flesh” does not delete or replace the man and woman any more than the body of Messiah, “the Church” replaces or deletes the identities or uniqueness of the Jews and Gentiles in the body. We become what in Hebrew is called (forgive my faulty transliteration) “Besar Echad,” one flesh, a composite unity. At the end of his sermon (and I’m skipping over quite a bit of content), Rudolph asked how Tikvat Israel’s “twoness” and “oneness” is expressed. The “twoness” is what you’d expect if you have any sort of familiarity with the more “conservative” forms of Messianic Judaism. Jewish people in Messianic Judaism and specifically at Tikvat Israel, should remain Jewish and not assimilate into Gentile Christianity. In fact, they should endeavor to become even more observant as Jews. The Gentiles in the congregation should not try to pretend to be Jewish but to come alongside their Jewish co-participants, and support and love the Jewish people and Israel. The “oneness” exists most obviously at the “macro” level or the overarching expression of Messianic Judaism, but it can also be observed on the “micro” level of the Tikvat Israel community. In that community you have two peoples who are of one mind and one spirit, all working together to build a community for Yeshua with a mission to reach out to the larger Jewish community. To the degree that there are Gentiles present, then it should be obvious that Gentiles are also reached by and respond to this mission, but that is part of the interdependence of Jews and Gentiles within the Messianic body. To understand the concept of Jewish/Gentile interdependence within the Messianic Jewish community, see my commentary on articles appearing in Rudolph’s and Willitts’ book. The relevant reviews are An Exercise in Wholeness and Interdependence or Collapse. Rudolph summed up the point of his sermon with the four words of its title: We Need Each Other. The congregation of Jews and Gentiles broke out in spontaneous applause. I don’t find anything bigoted, racist, or exclusionary about how David Rudolph describes Tikvat Israel. I do understand why Messianic Judaism needs to reach out primarily or even exclusively to the larger Jewish population. Reading the sermons of John MacArthur makes me appreciate how “dangerous” and even “hostile” many Christian venues are to Jewish believers who have chosen not to assimilate into a Gentile Christian lifestyle but who continue to be a part of the larger Jewish community, a part of national Israel, and to be loyal to their covenant connection to Hashem and Moshiach through the observance of the mitzvot. I’ve seen how important it is for my wife to be a part of the local Jewish community, especially since she was not raised in an observant Jewish home. It’s taken a lot of courage and struggle for her to even walk through the doors of a synagogue let alone become a functioning member. This is something that most Christians would never understand but something Jewish people comprehend all too well. Many non-Jews, and increasingly many Jews as well, find Judaism’s stress on endogamy to be racist. That’s nonsense. Membership in the Jewish people is open to any human being who is willing to take on the same commitment as those who stood at Sinai. Judaism does not sanctify gene pools but rather commitment to a mission. One need not be Jewish to serve God. Judaism is unique among major monotheistic religions in not viewing eternal reward as contingent on becoming Jewish. Yet Jews have always believed that they were chosen for a unique mission. Most non-Jews are unconscious of the critical mission required to maintain the tiny population of Jews worldwide rather than let the Jewish people fall into extinction due to assimilation. This is an even more vital and difficult mission in the Messianic Jewish movement with its continual struggle to maintain Jewish distinctiveness in the face of overwhelming Christian (including Gentile Hebrew Roots) pressure to either make Messianic groups more “Gentile-friendly” by de-emphasizing Jewish identity or by demanding that all Jewish identity also belongs to the “Messianic Gentile.” While Rosenblum is unlikely to be Messianic, his assessment of the needs of the Jewish community is spot on and applies very well to Rabbi Rudolph’s mission and message. While I expect men like MacArthur to be relatively “clueless” to this process, many Gentile Hebrew Roots practitioners, even if they have some familiarity with their local Jewish communities, operate on the same belief that, to use MacArthur’s words, “the Bible would never tolerate a Jewish church and a Gentile church.” Both Fundamentalist Christianity and Gentile Hebrew Roots (yes, I know I’m generalizing) demand the elimination of Jewish uniqueness either by forming “one church/congregation” of one homogenous “non-racial” group, or they play the “racism” card. There can be no “twoness” only “oneness,” no matter what the cost to the continued distinctiveness and even the continued existence of the Jewish people. I’m sorry if something Rudolph said in a sermon seems distasteful to some non-Jewish (and even a few Jewish) people. Rudolph says he wants to do what Paul tried to do; break down specific barriers that prevent Jewish and Gentile fellowship within the body of Messiah, but all the while, first going to the Jew because of the covenant connection between Hashem and the Jewish people, and only afterward, also going to the Gentile with the good news of the Messiah, that all human beings can be reconciled to God without surrendering their nationality or identity, which includes Jewish nationality and identity, as well as what each of us possesses as people of the nations who are called by His Name. Read more in Oneness, Twoness, and Three Converts. Its amazing how the “one new man” manages to be everything, but Jewish. As I understand what Rudolph is saying in his sermon, he’s not really saying that the “one new man” is Jewish but that it is the body of Messiah. Within that body however, there are Jewish “body parts” and Gentile “body parts. The revolutionary thing Messiah did was enable both Jews and Gentiles to have the same access to God, the same reconciliation before the Father, and the same right to come before the Throne as Sons of the Most High without the Gentiles first having to convert to Judaism. Jews and Gentiles, slaves and freemen, men and women can all appear before God as equals and remain Jews, Gentiles, slaves, freemen, men, and women. Thank you James for your in depth thoughts on this. I was accused of being racist and a bigot by the very same people who propagated this rant against Rabbi Rudolph. AND I too asked for the proof of their claims and was provided nothing but their biased opinions about his teachings. I have begun to see a One Law pattern of ‘anti’ Jewish/Christian based dogma that permeates their ideology. It is a doctrine based on contrasting themselves against all known ‘authority’, all the while claiming their ‘own’ authority to define things as they see it. It’s a paradox to me, like a snake eating it’s own tail. Thank you again for humbly tackling this issue James. I appreciate your blogging. Makes sense to me. I don’t understand why some people need to get all up tight about it. Well, maybe I do. “In that community you have two peoples who are of one mind and one spirit, all working together to build a community for Yeshua with a mission to reach out to the larger Jewish community. ” This is an important statement and one that should be easily understood, IMHO! Jewish people and Jewish Yeshua Believers will always be in the minority in the world’s populace. Because of ‘History’ Jewish people in the larger community have great difficulties in ‘hearing’ anything ‘good’ from the gentile person of faith. I firmly believe G-d will gather in the Jewish people at His timing…and the importance of a Jewish Witness to Jewish people is G-d’s way, in part, of doing this. Thanks to everyone who has commented and all of you who have visited this missive so far but who have decided not to comment. I agree that it seems obvious (at least at this point in my journey) that having a Messianic Jewish congregation with a mission primarily to the surrounding Jewish population makes exactly as much sense as a Korean Christian church having a mission primarily or exclusively to the surrounding Korean population. This wouldn’t mean that others couldn’t join, particularly spouses or other family members of people belonging to the primary population, only that certain believing communities have as their mission, a focus on people who are set apart from the majority due to nationality, language, ethnicity, or in the case of the Jewish people, covenant. There will always be some non-Jews who are drawn to the Jewish people and their relationship with God. Zechariah 8:23 and a number of other prophesies indicate this strongly. But the need to dilute, delete, assimilate, eliminate, any and all differences between different people groups is an artifact of our current “politically correct” culture that cannot tolerate distinctions or differences of any kind for fear that somehow, its means (horrors) “inequality.” As I hope I (and Rudolph) have indicated above, it has nothing to do with the Bible. I invite anyone who experiences difficulty with Messianic Jewish groups having a mission to the Jewish people to not just debate or argue with Messianic Jews, but to consult their local Chabad congregation, which also has a specific mission to Jewish people, or perhaps your local Korean, or Chinese, or other nationality or ethnically driven Christian church, and declare that they too must become “inclusive” and focus their mission only on the generic population of their communities. Hopefully that experience will provide perspective. Nice to see you too are noticing the connection between the one law Messianic and the methods and mannerisms of the ‘PC’ agenda. I wonder if they consciously know they adhere to the same tactics that the LGBT community have/are using to infiltrate, dilute and destroy the current ‘Christian’ communities? It seems as though the one law Hebrew Roots Messianics are using the same tactic against the current Messianic Jewish community. I do believe it is a sole by-product of the liberal socialist agenda in this country. Are you familiar with ‘the long march’ defined by Karl Marx? This may very well be the head of the serpent appearing openly after it’s long march through the institutions of America. We have what appear to be religious ‘conservatives’, but what we have in actuality are neo-liberals who ‘appear’ conservative by their position of theology but actually promote a complete liberal doctrine of Messianic political correctness. ONE way or no way. All are to be accepted equally. Sounds fair, till you see them claiming a man is allowed to become a woman. Or a Gentile is equally allowed to become a Jew. A hallmark of socialism, all are equal (to the extreme), and traditional Judeo/Christianity is always the target. I see the same spirit of political correct socialism is what fuels and drives the Hebrew Roots doctrine of one law Messianism. And, I also have a hard time understanding why the gentiles who want to serve along side Jews in our communites want to seemingly strip Jews of being traditionally Jewish and yet push for Gentiles to be so. WE NEED EACH OTHER, not we can be each other. If we are all being carried, who is carrying us? In reference to the nations bringing in the Jewish exiles back to the land…..
Nice to see you too are noticing the connection between the one law Messianic and the methods and mannerisms of the ‘PC’ agenda. I don’t want to paint everyone associated with a particular “label” such as “one law” with an incredibly broad brush, Shimshon. I was responding to a particular perspective of one of Rabbi Rudolph’s sermons with my interpretation of that sermon, augmented by another sermon and my experiences reading Rudolph’s and Willitts’ “ITMJ” book. There are people who self-identify as “one law” or “hebrew roots” who read and comment on my blog who don’t fit a particular stereotype and who bring interesting and informative commentary to the table. While I may not always agree with them (nor they with me), I really would like to be able to dialog with as wide a group of human beings as possible without personalizing conflict or disagreement, or for that matter, narrowly defining myself as relevant only to a tiny group based on highly specific theology and doctrine. Yes, some people are locked into certain perspectives that make it difficult for them to have civil discussions with others (and I admit to “seeing red” when I read most of John MacArthur’s sermons, so obviously, I’m human, too), but while disagreements are a foregone conclusion when you’re talking about different groups of human beings, we must strive to remember that we have a common faith in our Master and devotion to the God of Israel. And even those people who have no such faith are still loved by our God. I fully agree James. Thank you again for your efforts. My Pastor gave me a rather extensive review of the history of Fundamentalism in Christianity. In this case, I’m applying it to the general theology and doctrine espoused by John MacArthur and taught through Master’s College. @ Shimson, you are and I have been in the same discussion. It’s like a reverse super cession-ism.